Big news for the denizens of Stellenbosch as a new Mediclinic is set to open its doors in June, Bergzicht Training Facility celebrates 27 years of helping the powerless to help themselves and the Stellenbosch University Museum’s curator is honoured for her substantial contributions to heritage. Eikestadnuus editor Danie Keet brings us the latest and greatest stories that are making waves in town. 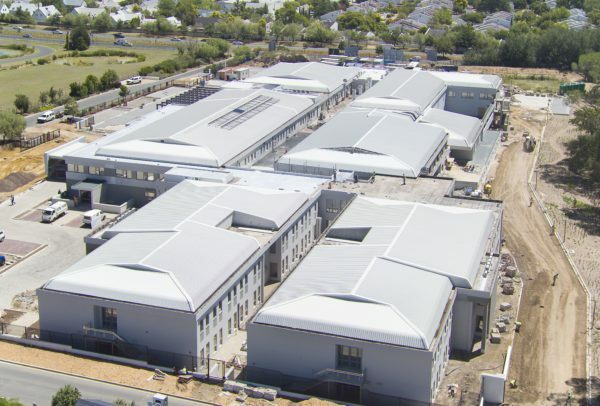 As the countdown begins for the formal relocation of Mediclinic Stellenbosch to the newly built facility, situated on the corner of Strand (R44) and Elsie du Toit Drive in Brandwacht, hospital general manager Carol van Zyl is encouraging patients to take note of the upcoming milestone dates for the commencement of services at the new facility. “Our aim is to ensure that our patients do not experience any interruptions in their journey with us, so we would like to highlight certain points along this exciting transition,” says Van Zyl. On 1 June 2019, Mediclinic Stellenbosch hospital will begin functioning at the new premises, with selected disciplines. On 1 August 2019, Obstetrics, Gynaecology and Paediatric units will relocate to the R44 premises while Orthopaedic services will remain at the Die Boord premises. Van Zyl continues: “It is also very important to note that our Emergency Centre services will be operated from the new R44 premises from 1 June. Any emergencies must be directed straight to the relocated facility for treatment. 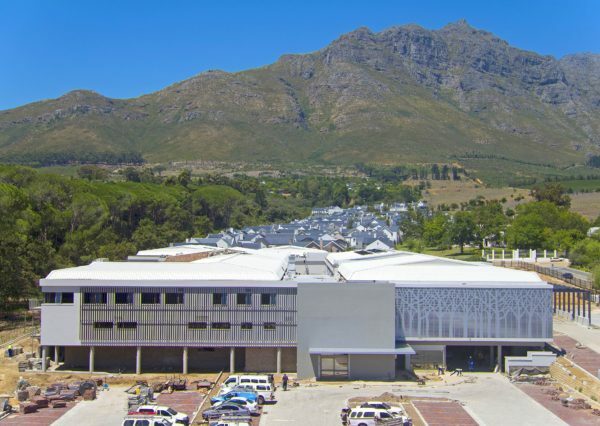 ”The move to the new premises has created an exciting opportunity to establish a Centre of Excellence in Orthopaedics and Rheumatology, with Mediclinic Winelands Orthopaedic Hospital opening on 1 August 2019 at the current hospital premises situated in Die Boord. “In conjunction with the Institute of Orthopaedics and Rheumatology (IOR), Mediclinic Winelands Orthopaedic Hospital will offer our patients a centre that focuses entirely on these two disciplines, providing cutting edge specialised care and is expected to receive both national and international referrals. Bergzicht Training, a skills development NGO in Stellenbosch, recently celebrated all it has achieved in nearly three decades of empowering unemployed, unskilled and semi-skilled individuals with market-related skills. The organisation was established in 1992 and celebrates its 27th anniversary this year. Founder of Bergzicht Training Cecile Kotzé and Louisa Breugem, one of the first to send beneficiaries for training in the facility’s iPOWER (self-empowering) foundation programme in 1992, were there to celebrate the day and enjoy some cake with staff and beneficiaries attending class on the day. 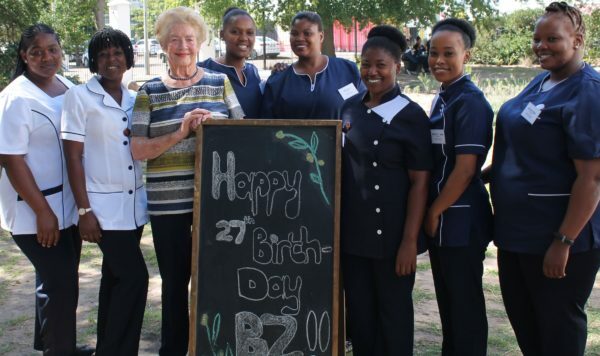 “Thanks to Cecile Kotzé, who sowed the first seeds of establishing the organisation in 1992, we have been able to watch many of our beneficiaries grow into trees,” said Adrian Bezuidenhout, Bergzicht’s Training Manager. “We have not only seen how the training provided here has impacted the lives of our beneficiaries, but also their families’. The annual Business of Wine & Food Tourism Conference, currently in its fourth year and known as the Wine & Food Tourism Conference from 2019, recently introduced the Wine & Food Tourism Awards. “The aim of this new awards platform is to recognise those individuals and teams that have made exceptional contributions to the development and promotion of the South African wine and food tourism industry,” says Margi Biggs, wine and gourmet tourism specialist and convenor of the Wine & Food Tourism Conference. “We have so much in our favour in South Africa. We have physical beauty, we have critically acclaimed wines that have captured the attention of leading tastemakers. Our restaurants and gastronomy are renowned. Once again, we are featured on the list of the World’s 50 Best Restaurants in 2018. Our ingredients are fresh, traceable and delicious. We are known globally for our friendly hospitality. These are all massive drawcards. 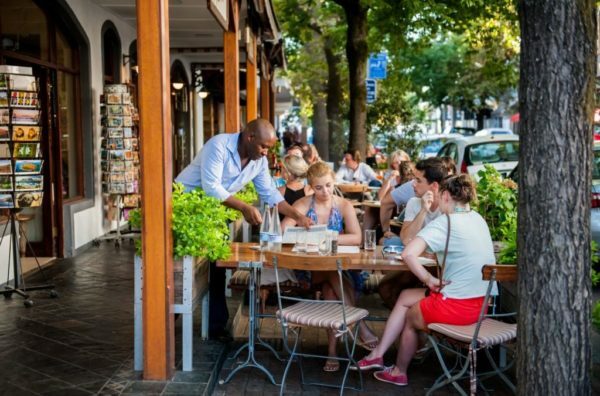 “Fortunately, tourism in the Western Cape is the region’s fastest growing sector, employing more than 200 000 people and generating R17 billion for the economy each year. We believe the potential is there to grow the number of jobs to 300 000. The new Wine & Food Tourism Awards could play a definite role in doing so. 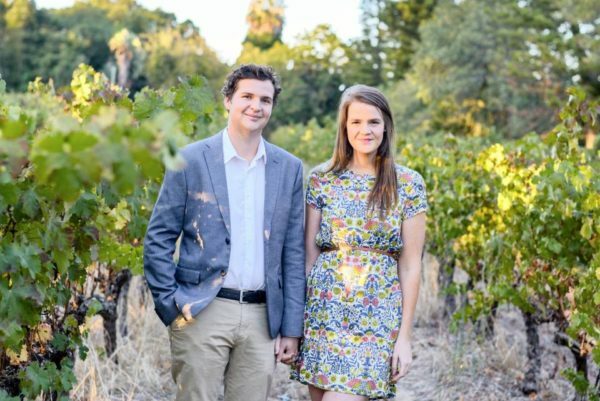 A couple with a love for insects has been inseparable since their second year of study at Stellenbosch University (SU). They have now also received their doctoral degrees together during the Faculty of AgriSciences’ graduation ceremony on 2 April. To top it all, Vernon and Leigh Steyn both studied different methods of controlling pesky moth pests. Vernon did research on the false codling moth, while Leigh focused on the Cape grapevine leafminer. “After class a girl, I did not know, spontaneously and kindly started helping me and provided the information that I needed. And that was it!” Vernon explains how they met. Within weeks they started dating. The pair have since completed their studies side by side and married in May 2017. “We hung on every word he said, and for the first time truly realised just how interesting and important the world of insects was,” Leigh recalls. 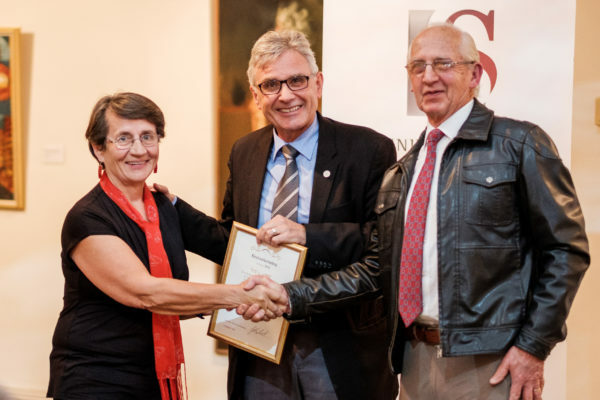 Prof. Matilda Burden of the University of Stellenbosch Museum was recently honoured with two accolades. She received an honorary award from the Stellenbosch e’Bosch Heritage Project on October 2018 and then on the 15th of February this year her alma mater, Outeniqua High School in George, honoured her in the same way. These prizes recognise her outstanding contributions to the promotion and preservation of South African culture and heritage and her leading role in numerous cultural and conservation organizations (on provincial and national statutory councils). Burden is a senior researcher and curator of cultural history at the US Museum. In addition to facilitating exhibitions and research at the US Museum, she also presents short courses for museum staff, municipal officials, members of conservation organizations and the general public. Topics covered include heritage conservation, museum expertise and architecture styles.